And his mic was cut to go to commercial. The mic was cut in the arena as well, not just for viewers at home. 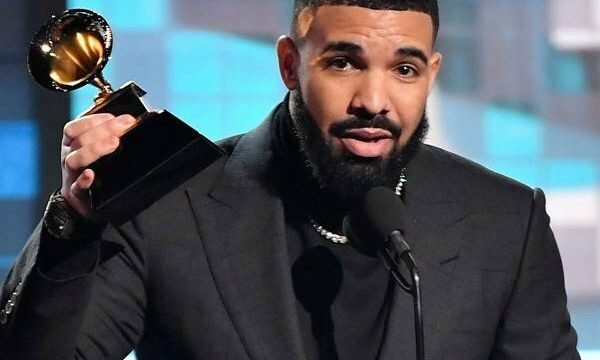 Drake has a number of Grammys already, including Best Rap Album from 2013.